I like this cover. The colors are pretty. Doctor Doom is on it. Ben looks a bit odd in the face though. And that’s all I really have to say. I’m not gonna lie, this cover makes me laugh. I mean, look at Reed. I dunno what’s up with that face. So if Reed looked less funny like, I would like it a lot better. I like the whole Council of Reeds down there; they look like different versions of Reed, so score! Now let us all turn our eyes towards the Reed that looks like Aquaman. Seriously. Doesn’t it look like Aquaman (the one with a beard and hair) or is it just me? So guess who started school. I miss summer already 😦 Anyway! Cover: Meh. It’s better than the previous two, I’ll say that. Something is off about it and I’m not sure what. I think the background looks a bit odd. Sue, however, looks a little BA. And I like that. But her forehead also looks kinda manly, and I’m nitpicking. Continuing on. I hate the rock things going on. I feel they add nothing to the cover. But overall, it’s not a bad cover. Interior Art: See Unthinkable Part Two review where I cover most of the fight. I’m sick of complaining about Wieringo’s art in this, so I’m done. Writing: Now that we have gotten past the not so brilliant set up, the good little tidbits come in. 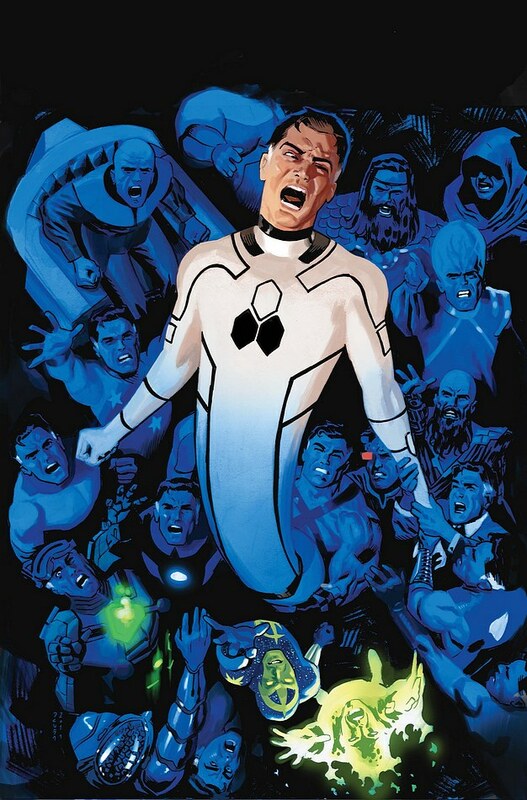 After most of the fighting has finished, Doom goes all ImmaSorcererSuckers and casts pretty magical spells on the Fantastic Four. They’re all like ‘oh no magic! Reed’s one weakness!’ And Reed’s like ‘I’m awesome, we can do this! !’ (It doesn’t work out) Then Doom says that he will release the child. Mind you, he does not specifically say what child. 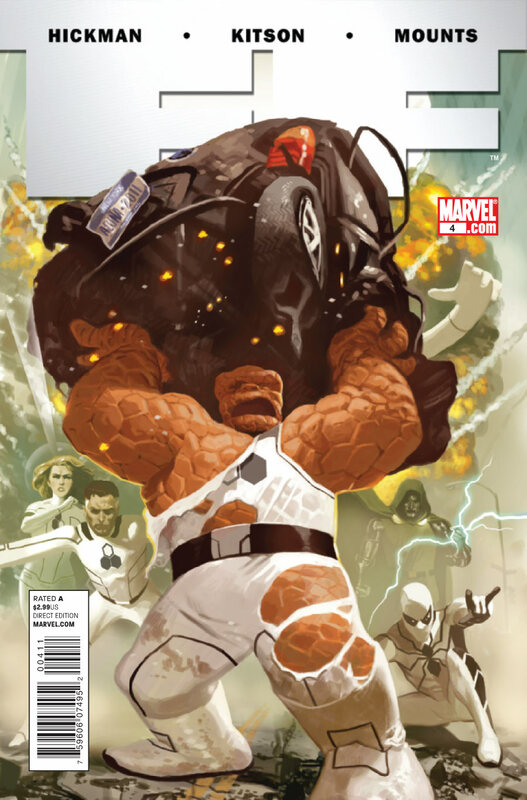 The Fantastic Four believes he’s talking about Franklin. You can see where this is going. 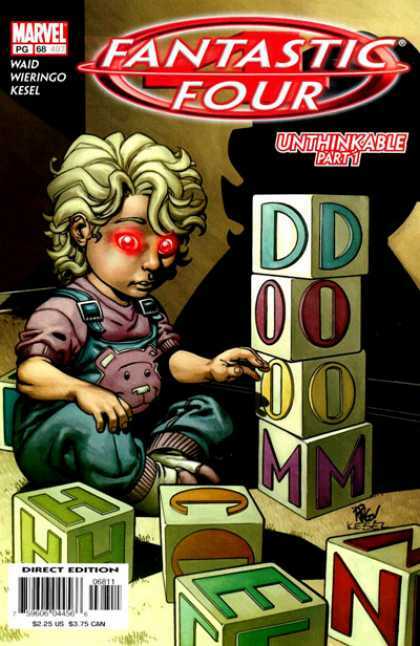 After Richards surrenders, Doom releases the child, which is Baby Val. This, ladies and gentlemen, is how Doom operates. 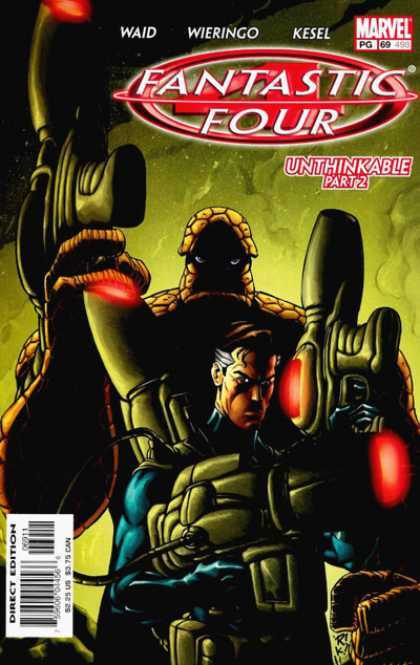 Also, he puts the Fantastic Four in his dungeon that is somehow in a tower which is connected to a library I would love to visit. Then he lays the verbal smack down on Reed like we all know Doom has wanted to do his entire life. Mr. Waid, you have somewhat redeemed yourself for a Doom that is awesome for an issue. Just an issue, mind you. 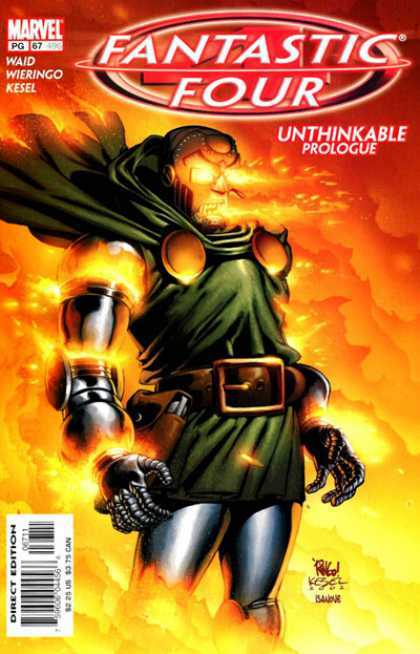 If Doom was like that the entire arc, I might actually like the entire arc instead of this one issue. There were a couple of things writing wise I was a little unsure of. Yes, I believe Doom would stick the Four in the dungeon. Whether he would torture them like he does, I kinda disagree. I think he would be more into psychological torture, kind of like he does to Sue by holding Val in front of Sue while she [Sue] is on fire. Also, putting Reed in a giant library screams Doom. Punching the crap out of Ben and whatever he’s doing to Johnny, not so much. But anyway, this is my favorite issue out of the arc. It’s not bad, but it’s not the greatest. 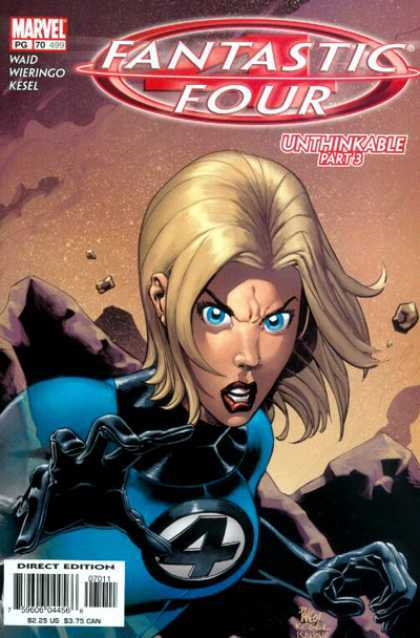 Things That Make Me Go Hmmm: Reed Richards, Judo Expert? 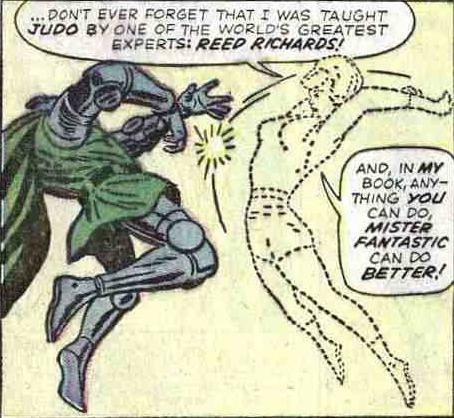 So Reed’s a judo expert. Why doesn’t he use his judo-tastic moves against the bad guys? I’ve never seen him go ninja! on anyone, but to give him some props, the rubber ball thing is pretty cool.